The other Norman invasion: The Italian South! Be careful who you ask for help. That might be the lesson from the story of the “other” Norman invasion, the Norman conquest of southern Italy and Sicily. According to the chronicle of William of Apulia (written about 100 years later), Norman pilgrims returning from the Holy Land stopped in Salerno in 999, and during their stay the city was attacked by Saracen raiders. When the Lombards quickly capitulated, the Normans berated them, took matters in their own hands, and rallied to defeat the Saracens. The Lombard prince, Guaimar, offered them many incentives to stay in Salerno to provide protection, but the Normans returned home with promises that they would spread the word about Guaimar’s need. About fifteen years later, a band of Normans visiting the Gargano Peninsula shrine to Archangel Michael joined forces with the Lombards to throw off Byzantine control. By 1020, various Norman mercenaries had joined forces with leaders of various principalities and duchies in the southern peninsula. By 1042, the Normans had gained enough power that a leader was selected from among their own: William Iron Arm, the eldest son of Tancred d’Hauteville, was given the title of Count of Apulia, and married the daughter of the Duke of Sorrento. William and several other Norman leaders were granted lands around Melfi. 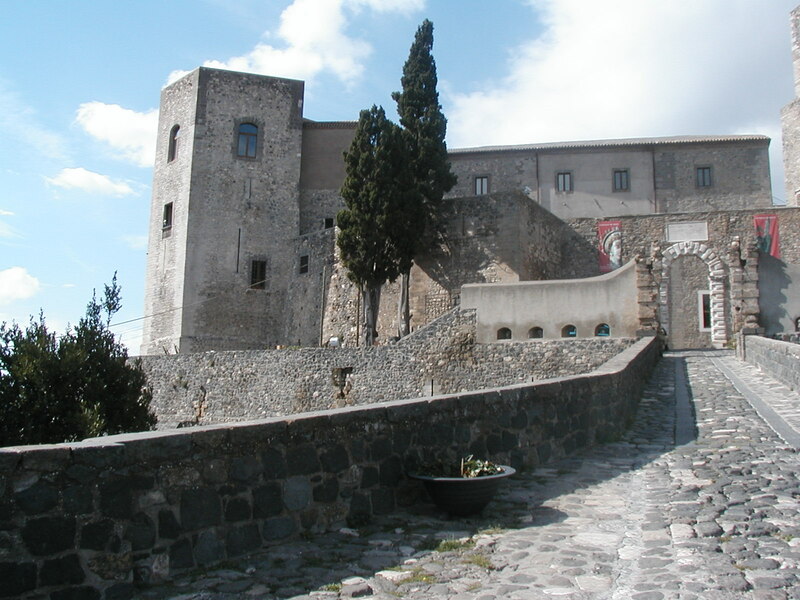 The Norman castle in Melfi now houses a wonderful museum. 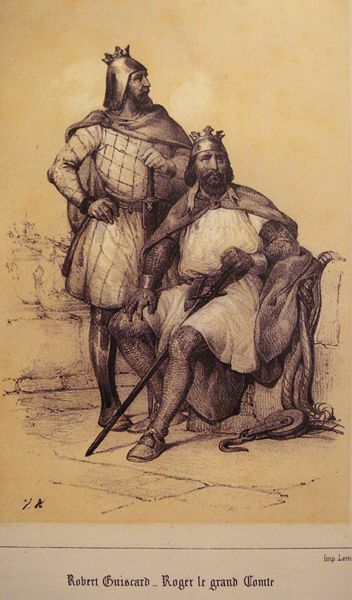 In 1043 William and his younger brother Drogo began campaigns to bring Apulia and Calabria under their control, and in time their younger brother Robert Guiscard joined in their efforts. Guiscard is not a surname–it is his nickname variously translated the Fox, the Wily, the Resourceful, and the Weasel. He was initially, in 1048, granted a castle in Calabria by his brother, but soon became restless for greater conquests. By the 1050s, the Lombards regretted inviting the Normans to their lands, and with the help of Pope Leo IX, launched an alliance against them, with Swabian and Byzantine support. On June 18, 1053, Humphrey, Count of Apulia, led the Normans to victory in the Battle of Civitate, which cemented their power in the Italian south. Gradually, by the end of the century, the Normans gained control of the entire southern mainland and the island of Sicily. The Norman kingdom lasted another 100 years, until it went to the Hohenstaufens by marriage in 1194. The Norman presence is still marked by many castles and churches built during their reign. This entry was posted in History and tagged d'Hauteville, history, Italy, Melfi, Norman Conquest, Robert Guiscard. Bookmark the permalink.